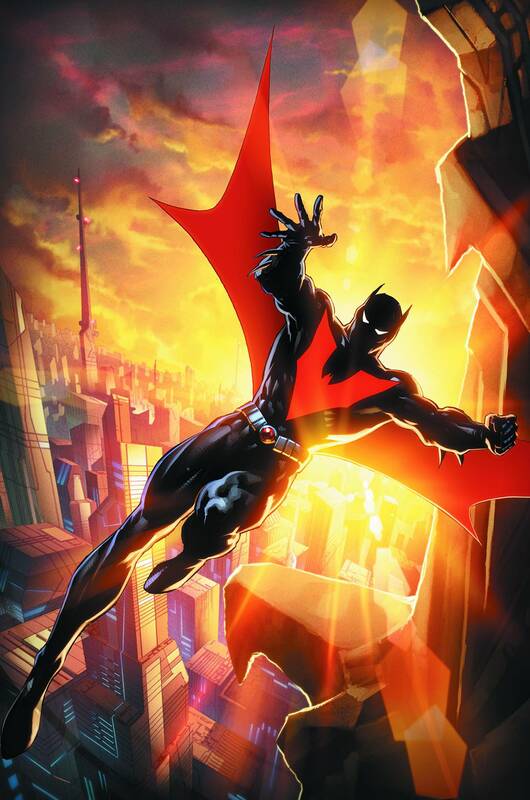 The sun rises on a new day in BATMAN BEYOND! With the threat of Brother Eye finally gone, Tim Drake is a man lost in time and without a mission. But now that he finally has the opportunity to explore this new Gotham City, he may find it just as dark as ever beneath its shiny new surface. And what Justice League secret does Matt McGinnis think will be unlocked with Green Lantern's severed hand? Guest artist and FUTURES END veteran Stephen Thompson kicks things off in this prologue to "City of Yesterday"!